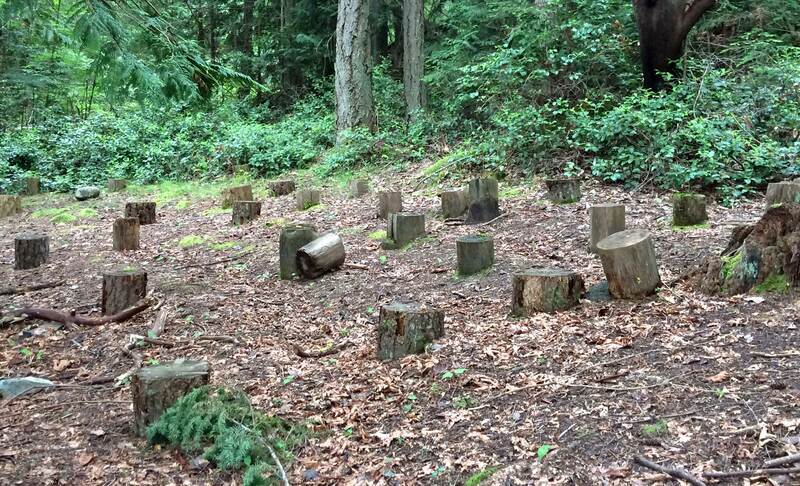 Tucked away in the woods, just south of Miss Moore’s cabin, is a quiet clearing with twenty or so stumps just begging to be sat upon. Was this a meeting place for campers to discuss the wonders of the nature surrounding them? Or could it have been a place for morning prayer or perhaps an afternoon sing-along? If you were a camper or counsellor at Moreecroft Camp and know the answer to this riddle, please comment below. This is Moorecroft’s outdoor chapel. The stumps were the supports for the thick varnished boards that completed the benches to sit on. The boards were put away every winter to preserve them and just the stumps were left. Some camps used the chapel daily for service or bible study. Other camps had one special service during the week. There was no official indoor chapel.